Before anything else, let me greet you a Merry Christmas and a Happy New year Shopcoholics! 2013 has been a wonderful year for me - full of wonderful blessings and events that were a dream come true for me. I want to thank all of you for continuing to support my blog after all these years. 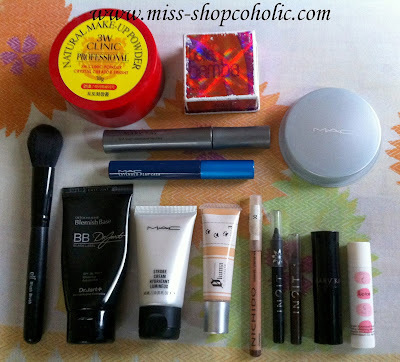 Before 2013 ends, let me share with you my Top 13 Favorite Products this year. You may click the grey colored text for my individual reviews. I use this as loose powder to set my BB cream and concealer. I love that it is so lightweight on the face and the shade looks natural on my NC20-25 skintone. I got this as gratis when I was still working for MAC. I only use this powder to brighten my undereyes. The shades from the Lightful line are actually a one shade lighter compared to other powder foundations like Studio Fix and Studio Perfect. So if you're an NC25 in Studio Fix, your match will be NC30 in Lightful. This is my favorite blush to date! I've already hit pan and bought a back-up already. The peachy-pink color is perfect for my skintone, while the gold shimmers gives me a glowing effect. 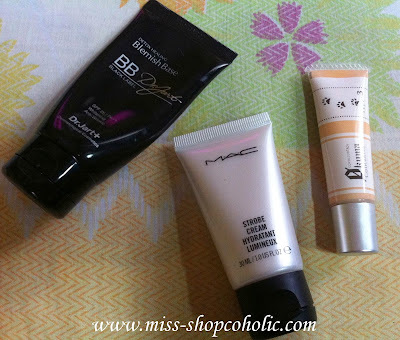 If you've read my review a few months back, you'll know how much I adore this BB cream! 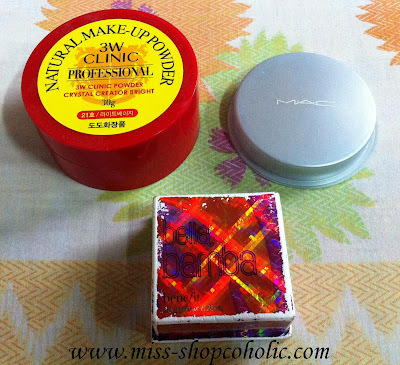 This is the "ultimate quick fix for the skin" according to MAC. It contains potent botanicals that de-stresses, de-snoozes, moistens, brightens and clarifies the face. My favorite way to use this product is to mix a small amount on my BB Cream or foundation for a glowing effect. You can also use this alone as moisturiser (best under powder foundation) or as highlighter. My biggest dilemma is dark undereye circles, and this product is heavent sent! I use this when I'm in a hurry and don't have time to apply corrector and concealer. The orangey shade is perfect for my purplish undereye circles. Review to follow. What I love about synthetic brushes is that it stays soft even if you just use brush cleanser to clean it, unlike animal hair that stiffens and gets scratchy if you don't wash it with regularly water. 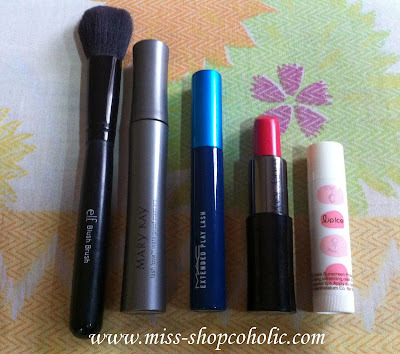 This brush is uber soft, affordable and the perfect size to apply blush. I'm in love with this mascara! I just love how it lengthens and thickens my barely there lashes. Since this mascara is waterproof, you need an oil-based makeup remover to remove it. Another mascara I'm loving... this is waterproof but can easily be removed with warm water. With its slim brush, this is perfect for those who have short lashes. This is the first product I have tried from Mary Kay. The formula is so creamy and non-drying, plus the shade is a lovely coral-pink that can instantly brighten my face. My bestie Hollie recommended this product, and I'm not disappointed! It keeps my lips soft and oh so smooth... I'm addicted to the flavor strawberry + mint! I use this on my brows together with In2it's brow powder. 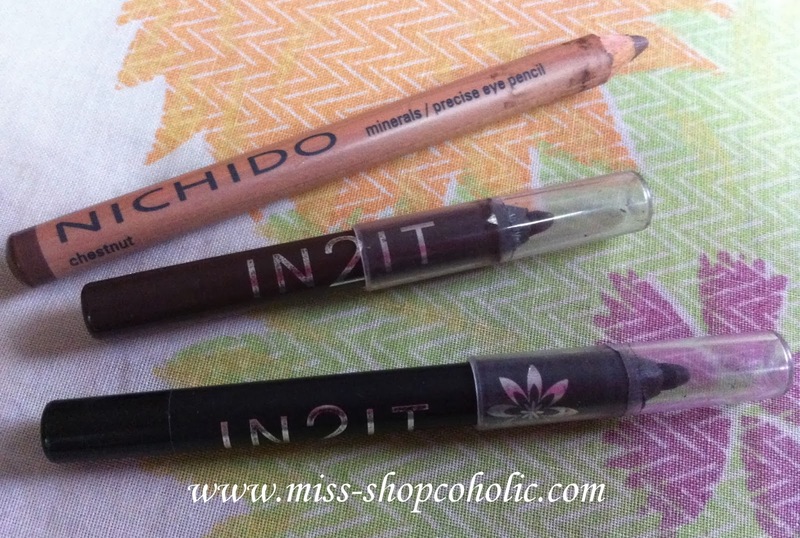 This pencil is inexpensive and easy to apply... just make sure to use clear or tinted brow gel to set your brows to make the pencil last longer. This product is an inexpensive alternative to MAC Powerpoint Eyeliners IMO. These pencils are smudge-proof and waterproof. You can also use this as base for smokey eyes but you have to blend fast coz once it dries, it is difficult to remove without any makeup remover. There goes my top makeup products for 2013. 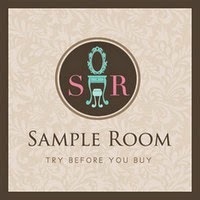 Have you tried any of the products I've mentioned?